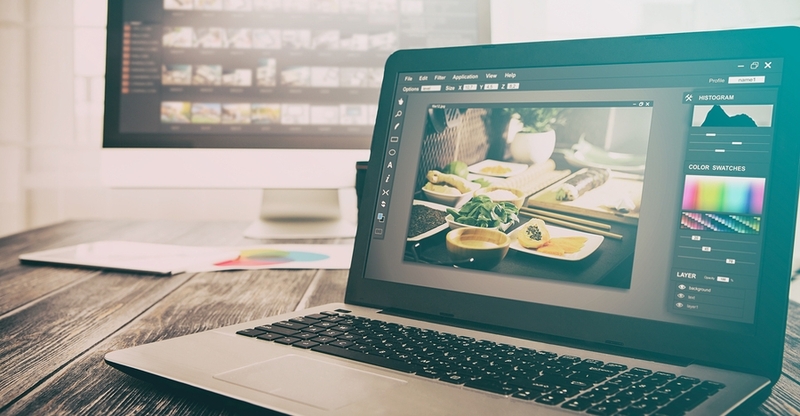 There are a lot of image editing software choices out there, for anyone who wants to tweak and tone their photos without having to pay for it. The best one for you depends on what type of editing you do to most of your images. Below we have listed 4 of our favorite ones. The elder statesperson of free photo editing, GIMP is possibly the most full-featured cross-platform Photoshop competitor going, though it’s not without its crashes and glitches – that’s the too-many-cooks open source development philosophy in action – and it lacks the polish of its commercial rivals. Some of the filters, in particular, seem as if they haven’t been touched since it was first released 20 years ago. 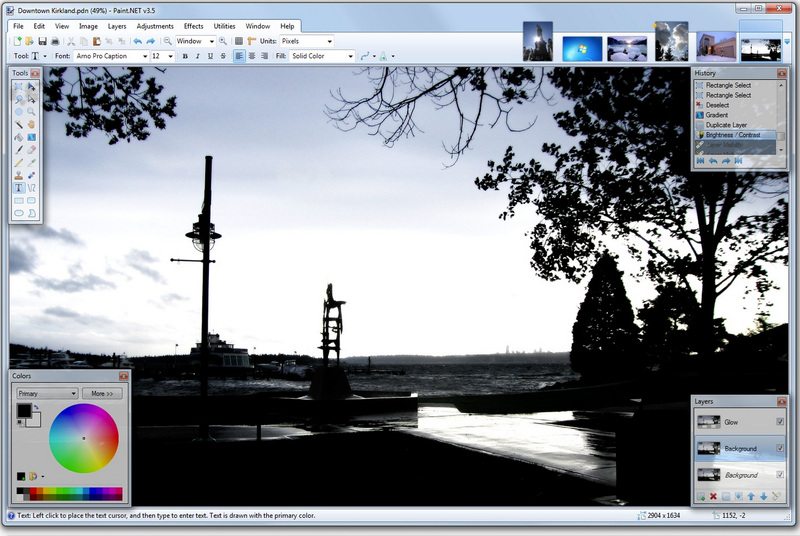 That said, if you’re looking for a desktop photo editor ready for just about any task, GIMP is it. Its interface will be immediately familiar to Photoshop users, particularly if you switch on the highly recommended single window mode, and it’s still in active development, so new features and filters are regularly added. There’s also a plug-in repository to extend Gimp’s range (although it’s not been updated for a while). We’d recommend grabbing the stable version, but don’t overlook the development build if you want to try some new features. Sometimes it pays not to be overloaded with bells and whistles. Paint.NET’s simplicity is one of its key features; it leaves it a fast, easy to operate editor that’s perfect for those little tasks that don’t need a full-blown advanced tool. Don’t be fooled by the name, though. This isn’t just a clone of Microsoft’s ultra-basic Paint – though it was originally intended to replace it. It’s a proper photo editor, just one that lands on the basic side of the curve. Interface-wise it’s reminiscent of its namesake, but as it’s grown Paint.NET has added essential editing tools like layers, an undo history, a raft of filters, numerous community-created plugins, and a 3D rotate/zoom function that’s useful for recompositing images. Yes, it’s lacking in certain areas, but if your machine is lacking in power or RAM we can’t think of a better choice. PhotoScape is, ostensibly, a rather simple photo editor. But one glance at its main menu reveals a wealth of features: RAW conversion, photo splitting and merging, animated GIF creation, and even a rather odd (but useful) function with which you can print lined, graph or sheet music paper. The meat, of course, is in the photo editing. PhotoScape’s interface is among the most esoteric of all the apps we’ve looked at here, with tools grouped into pages in odd configurations. It certainly doesn’t attempt to ape Photoshop, and includes fewer features. We’d definitely point this towards the beginner, but that doesn’t mean you can’t get some solid results. PhotoScape’s filters are functional and not at all beginner-like, so it’s a good choice if you need to quickly level, sharpen or add mild filtering to pictures in a snap. Steer clear of the rest of the tools, though: you’ll find better elsewhere. Google’s unending determination to corner just about every market sometimes pays dividends for the pincher of pennies. Take its purchase of German developer Nik in 2012, for example – its Nik Collection photo manipulation plugin range retailed for $500 at the time, and in early 2016 Google decided to do away with the price tag and release the powerful collection for free. We suspect support and updates might be somewhat limited going forward, but this does enable you to bag seven quality tools as-is: lens and film emulator Analog Efex; colour corrector Color Efex; monochrome converter Silver Efex; noise reducer Dfine; selective colour tweaker Viveza; and Sharpener and HDR Efex, which speak for themselves. These are perfect free plugins if you’re already using Photoshop, and you can add them to compatible host applications when you install them, but they can also be run as standalone applications if you hunt down their executable files.